"The Real Housewives of New York City" star was booked early Christmas Eve morning after allegedly kicking a police officer while intoxicated at a hotel in Palm Beach, Florida. She later apologized. De Lesseps issued a new statement on Friday, saying, "After the events of last Saturday night in Palm Beach, I am truly embarrassed. I have decided to seek professional guidance and will be voluntarily checking into an alcohol treatment center. I intend to turn this unfortunate incident into a positive life changing event. Once again, I sincerely apologize for my actions. I have the greatest respect for police officers and the job they do. My actions alleged in the police report do not reflect my core values and my law abiding character." "I am so grateful for the love and support that I am receiving from my family, friends and loyal supporters," she added. De Lesseps is "'completely in shock' over what happened," a source told E! News exclusively, adding, "No one thought going to Palm Beach was a good idea. She was in Jupiter and last minute decided to go to Palm Beach before the wedding in Chile. No one knows why. People told her it wasn't a good idea." Last New Year's Eve, Luann married Tom D'Agostino in an extravagant Palm Beach wedding. She filed for divorce seven months later. "Luann has talked about self-medicating in the past, but no one saw this coming," the source added. "Everyone is worried the judge is going to make an example of her. There's a serious chance she's facing jail time." A source told E! News that Bravo and de Lesseps' cast mates have been reaching out to her to offer support and see how they can help and that she has not been returning phone calls for the most part. According to a police report, a security guard at a Palm Beach hotel reported de Lesseps and an unidentified male trespassed in a room and were found in bed. Police discovered the reality star and another person, a female friend, inside the room in question. The friend, who had complied with police's orders to leave, told Page Six the man who was allegedly found in bed with de Lesseps earlier is "a guy [Luann] had previously dated." Police alleged that de Lesseps resisted arrest and later said "I'm going to f--king kill you" after being placed in a patrol car. 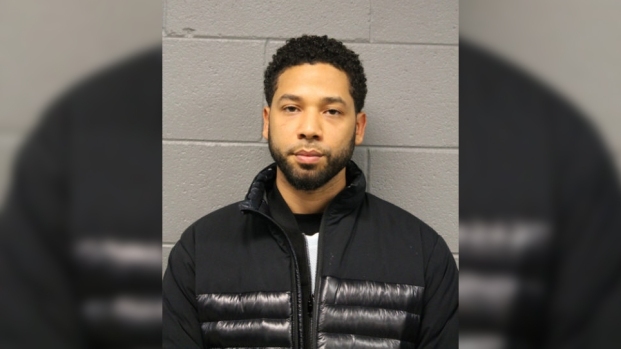 The reality star was arrested and charged with battery on an officer, disorderly intoxication and resisting arrest with violence and corruption by threat against a public servant. "This was my first time in Palm Beach since my wedding, and being here brought up long-buried emotions," Luann had said in a statement to E! News after being released from custody. "I want to offer my sincere apologies to anyone I might have offended with my behavior. I am committed to transformative and hopeful 2018."